Well here we are at day 2. So lets get right to it and open up some advent calendars. I love advent calendars, but not the usual ones with the little waxy bits of chocolate. I’d like to think we deserve better than that wouldn’t you? 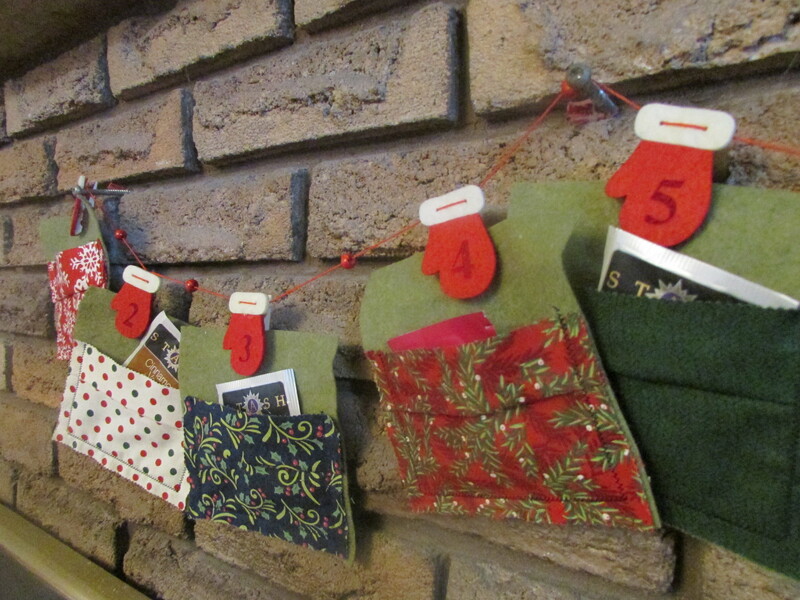 Happily lots of other people – retailers, crafters and even writers are jumping on the advent calendar train. I think there are more available and more variety every year. Let’s look at a few of mine shall we? Full confession, I may have gone a wee bit over the top. And you will be seeing the offerings from December 1st as we are one day behind here to allow for writing etc. The picture below is a split picture showing the cover on the left and the open calendar on the right. There are 24 numbered drawers and inside each one is a little tin of tea. The drawers come right out and after you have “opened” them you replace them backwards to slowly reveal the rest of the woodland scene. I think this is really clever and makes the whole thing totally reusable next year. Each tiny tin has the name of the tea on the back and a clear top. I’m not sure if I will enjoy them all, I tend to be a pretty plain tea girl, but I plan to brew up every evening. I’ll let you know as the month progresses how I feel about the flavours. It is a great way for me to test them out before purchasing a large amount. Well done Davids Teas! I can’t even tell you how excited I was to discover the next one. 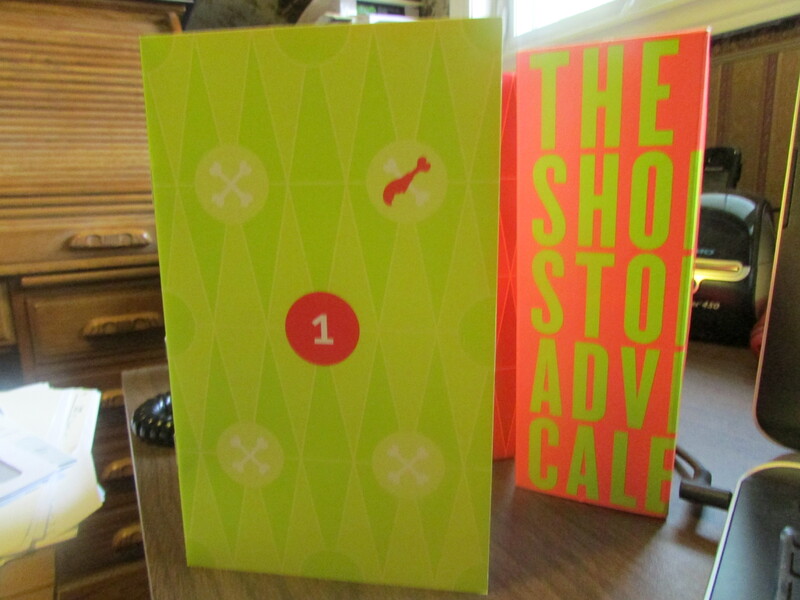 The Short Story Advent Calendar. Published by Hingston and Olsen it is the brain child of Michael Hingston of Edmonton and designed by Natalie Olsen. 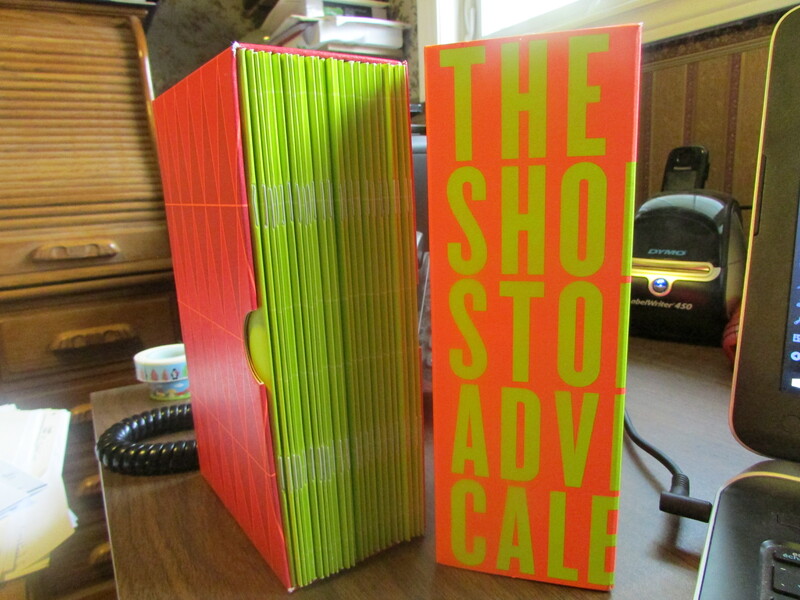 Beautifully boxed in a sliding cover case each story is simply bound and numbered 1 – 24. Each has a different image highlighted in orange against the neon green cover. Will this be a clue about the story? I’ll have to see. The image on the story for the first is a drumstick….with a bite out of it. Hingston and Olsen have created a whole social media community to enhance the enjoyment of the stories. After you read the day’s story you can visit the Facebook, Twitter, or Instagram accounts to read about the author and discuss with other readers the themes, ideas, and your reactions. I LOVE short stories as a medium. I so admire when a author can transport you away with so few words. I’ll be reporting back on this as well. Maybe enjoying a read as I sip my Christmas tea. 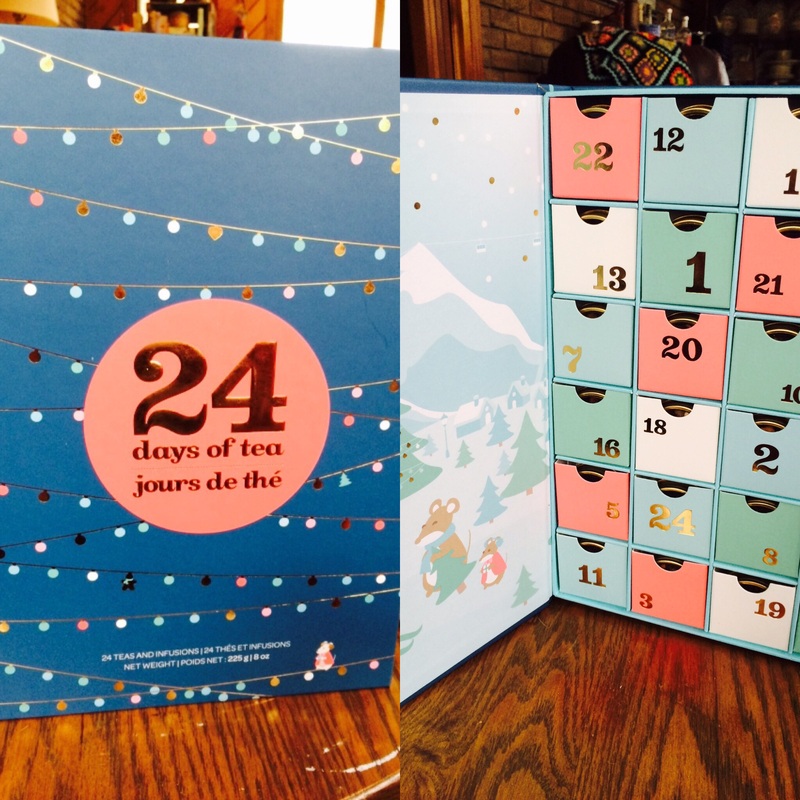 But really would it be Christmas if I didn’t also have a chocolate advent calendar? I had to do it. So I opted for the Lindt one. At least the chocolate should be of a better quality. so I pulled together a simple one for my Mom this year. 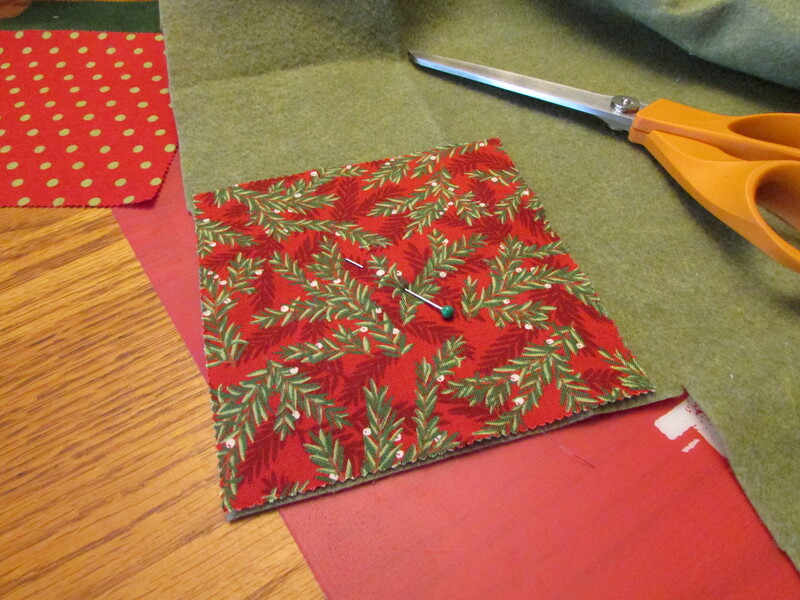 Using a pre cut 5″ charm square bundle of assorted Christmas prints I created pockets with a green felt back. I didn’t do any fancy lining or turning, I just folded down the edge to make a faux cuff and sewed them with a zigzag stitch around the edge. 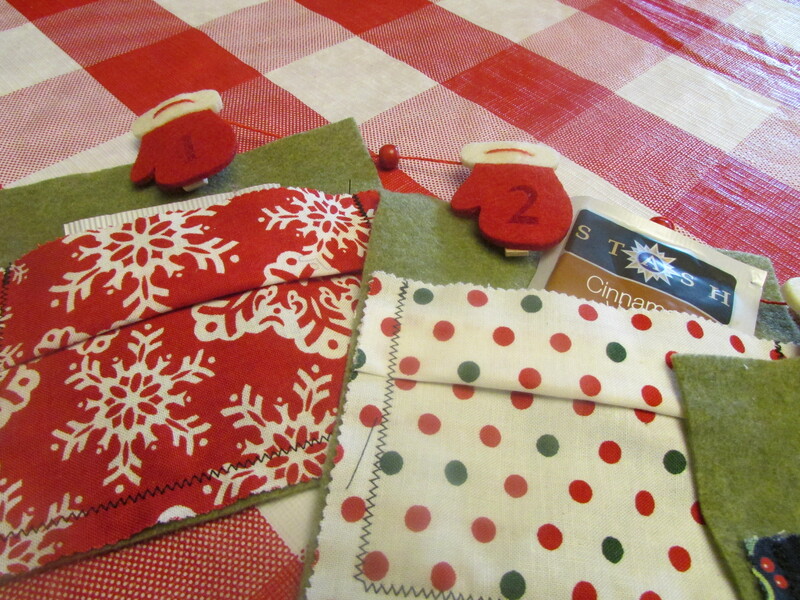 I found a great string of numbered mittens attached to mini clothes pins to hang them on and slipped a Christmas tea in a foil pouch in each one. But really you could add all sorts of treats to the little pockets. This year I have seen more ideas for advent calendars than ever before. I hope this trend continues, I know I have several new ideas for next year! ← First day of Blogmas! I’m loving this! Giving me some Christmas Spirit that I really needed this year. Got my friend Cathie following you too. Keep up the good work. Glad you are enjoying it. Spread the Christmas love!